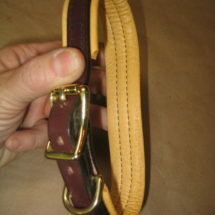 A popular choice for great control and comfort in Walking all Breeds. 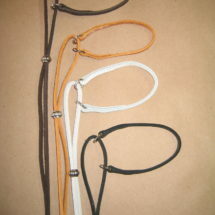 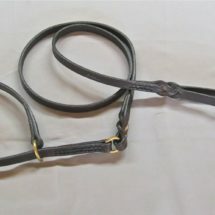 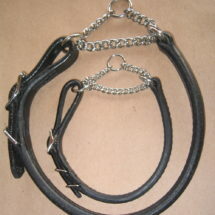 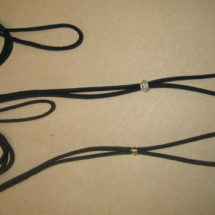 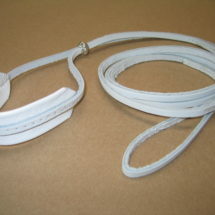 Martingales provide limited choke action and prevent slip outs. 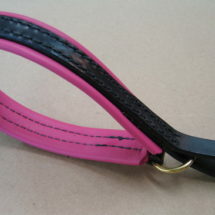 I make them small enough for Italian Greyhound sizes all the way up to Giants such as Irish Wolfhounds and Great Danes. 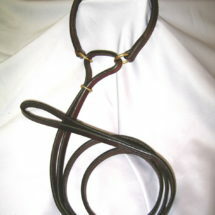 Available in Padded throat or Round throat. 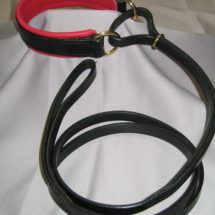 Also come in a Lure Coursing configuration for releasing Sighthounds on the Lure, an excellent choice for training and competition.